IF YOU DO NOT AGREE TO BE BOUND BY THESE TERMS AND CONDITIONS, YOU MUST IMMEDIATELY DISCONTINUE — USE OF THIS WEBSITE. All information is provided “as is”, without any representations or warranties of any kind, and FireRescueFitness.com and Zamzowfitness, LLC. expressly disclaim all express and implied warranties including those with respect to accuracy, completeness, timeliness or fitness for a particular purpose of the information on this website or of any product or service referenced on this website, unless otherwise expressly indicated. FireRescueFitness.com and Zamzowfitness, LLC. assume no responsibility for any losses, damages, whether direct, indirect, special or consequential, which arise out of the use or misuse of this website howsoever caused, whether such damages arise in contract, tort, negligence, equity, statute or by way of any other legal theory regardless of whether such damages could have been foreseen. The information on this website is subject to change without notice. As with all programs, techniques and materials related to health, exercise and fitness, FireRescueFitness.com and Zamzowfitness, LLC. strongly recommend that you not rely upon or follow the programs, techniques or use any of the products and services made available by or through the use of this website for decision making without obtaining the advice of a physician or other health care professional. The information, products and services made available by or through the use of this website are provided for use by persons who have satisfied themselves as to the appropriateness of its use for themselves after obtaining the advice of a physician or other health care professional. The nutritional and other information on this website is not intended to be and does not constitute health care or medical advice and must not be used to make any diagnosis specific to the online user. FireRescueFitness.com and Zamzowfitness, LLC.do not employ dietitians or any other health care professionals. If you have chosen not to obtain a physician’s permission prior to beginning this program with FireRescueFitness.com and Zamzowfitness, LLC. then you are doing so at your own risk. 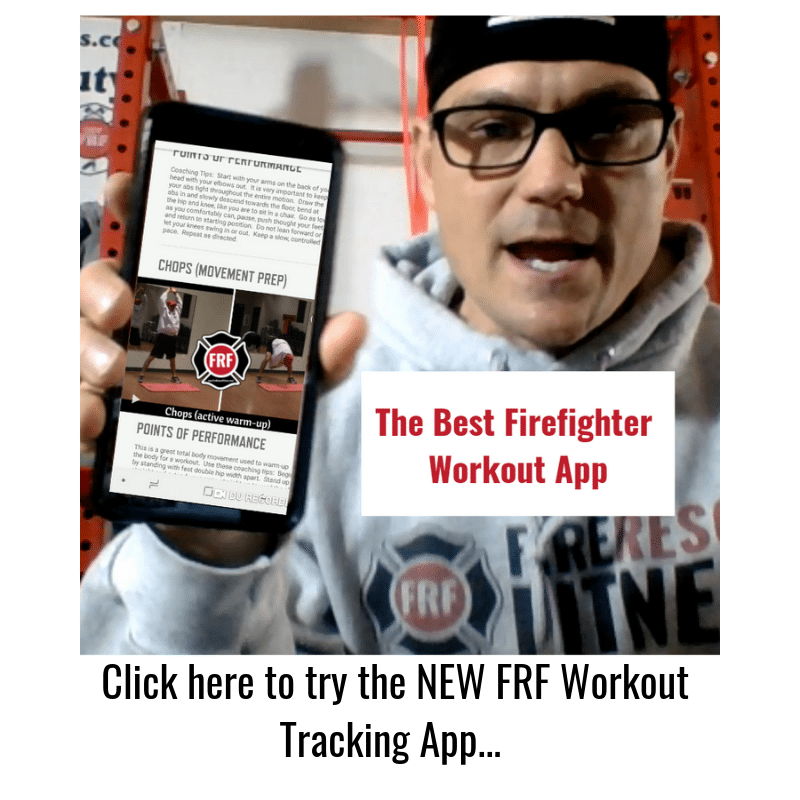 By your use of this website you acknowledge that you do hereby waive, release and forever discharge FireRescueFitness.com and Zamzowfitness, LLC. 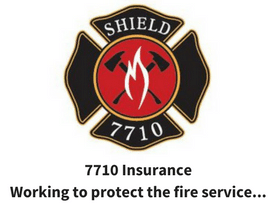 and their respective heirs, directors, officers, agents, employees, representatives, successors and assigns, administrators, executors, and all others from any and all responsibilities or liability from injuries or damages resulting from or connected with your participation in any of the FireRescueFitness.com and Zamzowfitness, LLC. 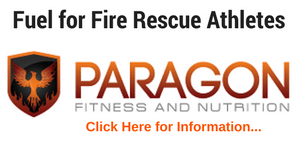 exercise programs (including any newsletters) whether arising from the negligence of the FireRescueFitness.com and Zamzowfitness, LLC., its employees, heirs, directors, officers, agents, employees, representatives, successors and assigns, administrators, executors, and other parties involved in the creation, production or delivery of the site, or otherwise. Independent parties develop websites that may be accessed from this website. FireRescueFitness.com and Zamzowfitness, LLC. is not responsible for the privacy policies or the accuracy of the information in such websites nor do we endorse products offered in those websites. FireRescueFitness.com and Zamzowfitness, LLC. do not represent or warrant that unauthorized use of information from this or other websites does not infringe on the trademark rights of third parties. FireRescueFitness.com and Zamzowfitness, LLC. liability, if any, shall be limited only up to the amount paid by the user for the products and/or services herein. At FireRescueFitness.com and Zamzowfitness, LLC.., we take the issue of privacy seriously. We want to assure you that the security and confidentiality of personal information that you disclose while visiting our website will be respected. Policies governing the protection of privacy on our website are strictly observed and enforced to ensure this happens. In our online access area, you may be asked to provide personal information that is necessary for us to communicate with you, to provide you with your training program and any other information that FireRescueFitness.com and Zamzowfitness, LLC.. consider may be valuable to you. Personal financial information is required to enable us to bill you for products and/or services you have requested. It is your responsibility to ensure that the information provided to FireRescueFitness.com and Zamzowfitness, LLC.. by you is complete and accurate. YOU MUST BE AT LEAST 18 YEARS OF AGE TO Purchase from THIS WEB SITE. We use the information collected from you when you visit our website to address your specific requests and to provide better customer service, including the provision of the latest information regarding our products and services. The information collected may also be used to document communications between FireRescueFitness.com and Zamzowfitness, LLC. and our online users and to comply with any applicable legal and/or regulatory requirements. Certain employees will be provided with information about a website visitor in order to fulfill that user’s requests and provide the user with requested information regarding specific products. Our employees are instructed to use strict standards of care in handling the personal information of our clients, and the use of such information is dealt with in our internal code of conduct. Employees who do not conform to FireRescueFitness.com and Zamzowfitness, LLC.’s confidentiality rules are subject to disciplinary sanctions which may include dismissal. FireRescueFitness.com and Zamzowfitness, LLC does not transmit any personal information collected through its website to any third parties. Personal information may be transmitted, however, if there is a specific need to complete a transaction requested by the online user. Unauthorized downloading, re-transmission, storage in any medium, copying, redistribution, or republication for any purpose is strictly prohibited without the written permission of FireRescueFitness.com and Zamzowfitness, LLC..
All matters that do or may arise, in any way relating to the use of this Web Site, are subject to and shall be governed, construed and enforced exclusively in accordance with the laws of the state of Wisconsin, and the United States of America. If you have any questions about the protection of personal information you have disclosed on FireRescueFitness.com or its terms and conditions of use, please send us an e-mail, so that we can address your questions as quickly and completely as possible. Copyright © ZamzowFitness and www.FireRescueFitness.com. All rights reserved.